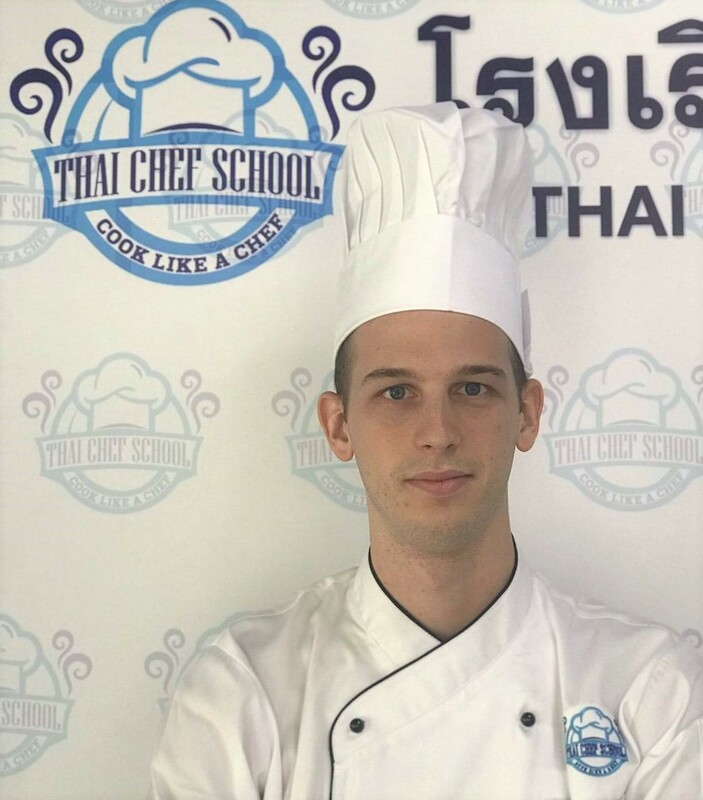 This intensive 6 week course is designed to introduce both Thais and international students to basic culinary skills, techniques, and French, Italian, American, and Spanish cuisines. Classes are conducted primarily in English. After graduation, students can elect to work as interns at a resort/hotel for up to 3 months. This is a paid internship. Internships are not mandatory. Job placement assistance is provided free of charge for students successfully completing this course. Classes are small, and lots of personal attention is available. In a dedicated classroom, subjects such as knife skills, HACCP, menu planning, nutrition, food costing & measurements, ingredients, kitchen utensils and kitchen organization are taught. Lecture is in English. Handouts, audio-visual aids such as whiteboard, power point, and videos are used to assist the lecturer. Class participation is encouraged. To see 6 weeks summary of the program, click HERE. To contact us, please send email to Ron@ThaiChefSchool.com or click HERE. Paid by Paypal, any major credit card, bank wire transfer, cash, or by ATM transfer (if within Thailand). Remaining tuition, not paid as a deposit, is due first day of class paid in cash (THB) or by credit card (+3%). Work at selected high quality Thai hotels/resorts for pay and experience. For those who do a good job, employment opportunities are usually available. Up to 3 months of on-the-job training. We are in constant contact with employers seeking entry level cooks. Some represent cruise ships while others work with resorts and restaurants in Thailand. We assist our students in obtaining interviews. There is no charge for this service.